Extremely low hours on these professionally serviced Mercruiser 496 Mag HO engines. The boat is stored with full cover in a climate controlled garage. Gelcoat, vinyl and leather upholstery are all in like new condition. Owner asserts all electronics and mechanical systems are in proper functioning condition. 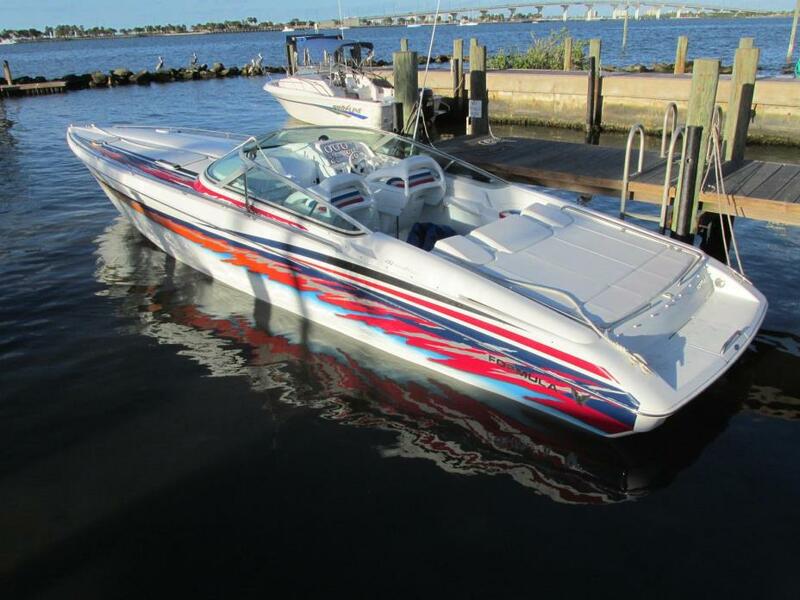 Stock #166826 Like New Beauty and speed powered by TWIN 496 HO MAG BRAVO ONE If you are in the market for a high performance boat, look no further than this 2007 Formula 353 FASTECH, just reduced to $124,900 (offers encouraged). This vessel is located in Livingston, Texas and is in great condition. She is also equipped with twin Mercruiser engines that have only 82 hours. Reason for selling is owned it 9 years only put 82 hrs on it!. 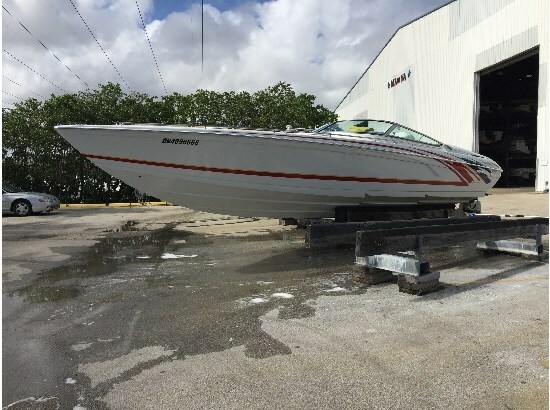 2001 Formula 353 FASTech, Contact = Chris Frambes Cell = 772.528.0840Email = chrisf@sundancemarineusa.com Immaculate 2001 353 FASTechJUST REDUCED $10,000! NEW BOAT COMING! Twin Mercury Racing 500 EFI w/ Bravo 1 Outdrives. ONLY 215 Hours!FULLY SERVICED, COMPLETE SERVICE RECORDS! STANDARD EQUIPMENT, EXTERIOR, NMMA Yacht Certification Imron Graphic, Fiberglass Anchor Locker, Bonded and thru-Bolted Deck to Hull Joint Heavy Duty PVC Gunnell w/Stainless Insert Tinted, Tempered Glass Windshield, SS Hardware, Welded Rails and Ladder, Swim Platform, 4 Cabin Vent Hatches,COCKPIT, Formula Trim-in-The-Handle One Piece Fiberglass Deck & Cockpit Liner, McLeod Offshore Bolsters, Footrest Aft Lounge Seating for 4 with Storage SS Safety Rails, Tilt Helm Steering Wheel, Latham Power-Assist External Steering Gaffrig Redline Backlit Instrumentation, Kiekhaefer Shifters & Throttles, K-Plane & Trim Override Switches, Safety Stop Switches w/Tethers, 12v Outlets, Digital Depth Sounder, Waterproof Rocker Switches w/ETA Brkers, Air Horn, Courtesy lights, Compass, Side Coaming Storage, Trash receptacle, Fire Extinguisher, Battery Selector Switch.CABIN, Upholstered Bow Dbl Berth Locking Door, Kenwood AM/FM 10 CD disk changer, UltraLeather HP Lounge Seating, Dbl Berth, Private Head w/ portable Unit & Exhaust Fan, Entertainment Center w/Sink & Demand Water AC/DC Refrigerator, 12v d=DC Electrical Panel, 120V Shore Power w/30Amp Charger.ENGINE ROOM, Race-Style Engine Mounts, Motorized Hatch Lift, Courtesy Lighting, Fume Detector, Automatic Fire Extinguisher, Remote Oil Filters, Alternator Noise Filters, Corrosion Protection, Kiekhaefer K-Planes, Two Deep Cycle Batteries w/Retainers, Bilge Blowers, Automatic Bilge Pump, Bilge High Water Alarm, External SS Tie Bar, Forward Mounted trim & Tab Pumps, SS 4 Blade Props, Silent Thunder Exhaust. 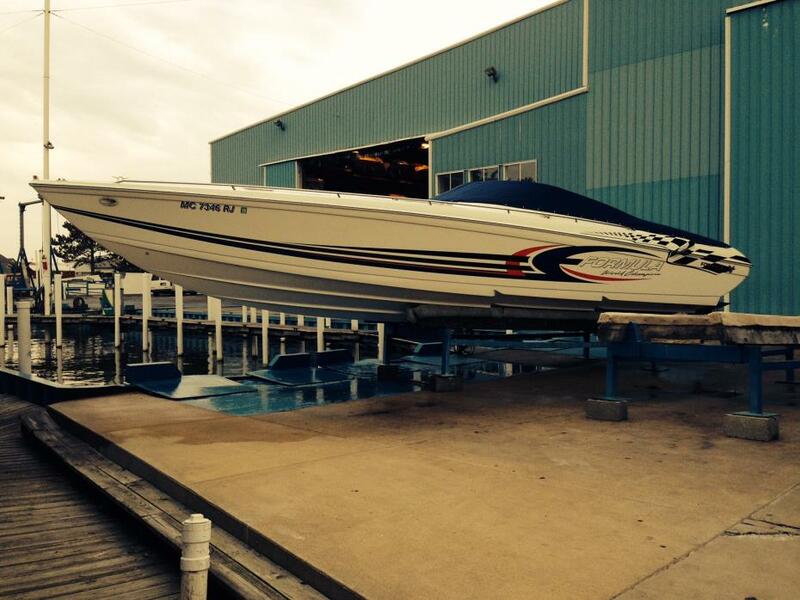 2000 Formula 353 FASTech Ready to get you on the water this summer! 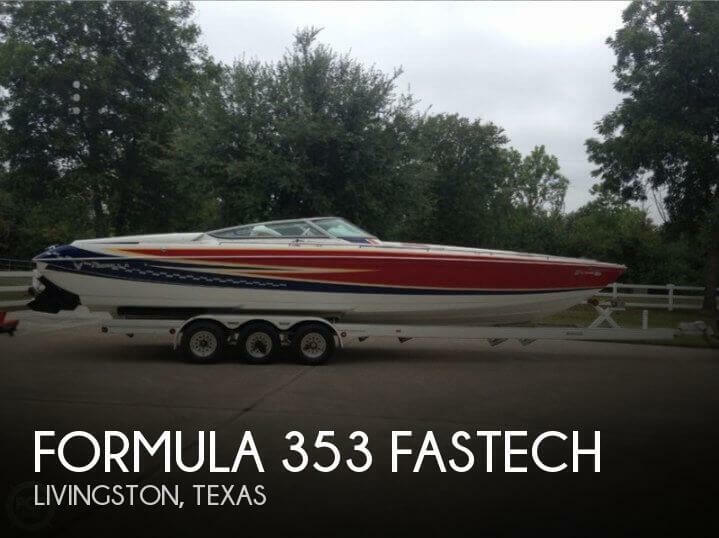 Awesome Formula 353 FasTech with low hours on rebuilt engines! This boat is in immaculate condition, the interior has been very well looked after with limited sun exposure having been stored inside on a rack. The 353 FasTech is known for offshore performance prowess and this boat will live up to all the rumors of an exciting ride! 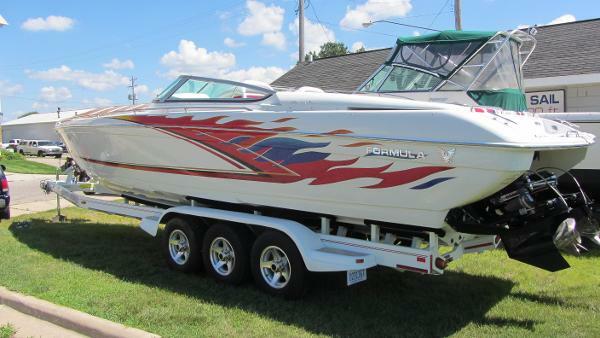 Call to see this boat today before it zips past you on the water! 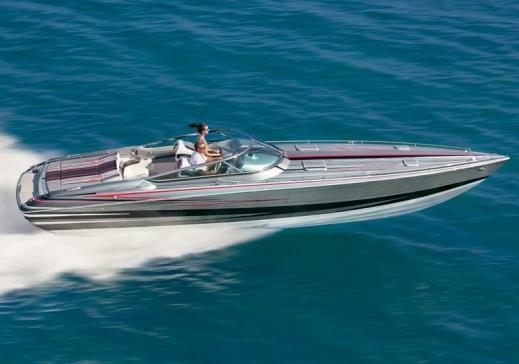 2000 Formula 353 FASTech In this power-seeking world of high performance boating, Formula 2000 FasTech dominated as the front runner. Formula's advanced speed, stability and structural technology designs and engineers optimum performance into each Formula FasTech. 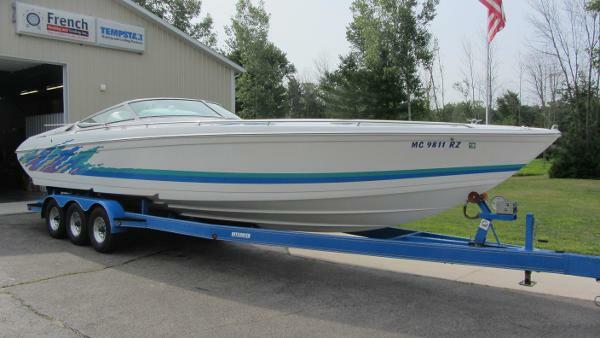 This well maintained, very clean power boat is flashy, and has always been a freshwater boat. 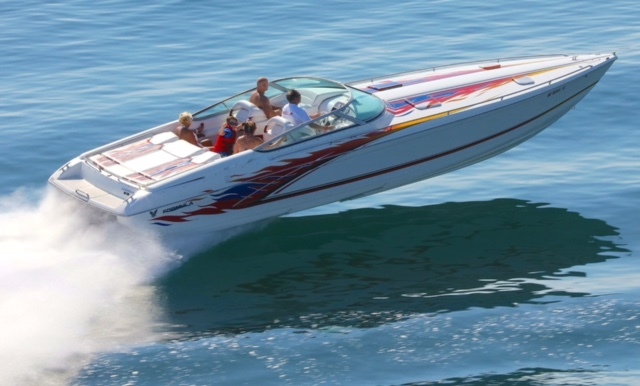 For the ultimate in performance at an affordable price this is the boat for you! Conveniently this FasTech was fitted with the optional vacu-flush head. Cockpit cover and Bimini Top. Also has a Custom Tri-Axle Integrity Trailer. 2017 Formula 353 FASTech Formulated for Excitement! Excitement. In life, and on the water. It’s part of what you do and how you live. That’s why we offer the FAS3TECH series of pure powerboats. Sleek, muscular and breathtaking, the Formula 353 FAS3TECH is the latest, go-fast reflection of the Formula offshore racing heritage. 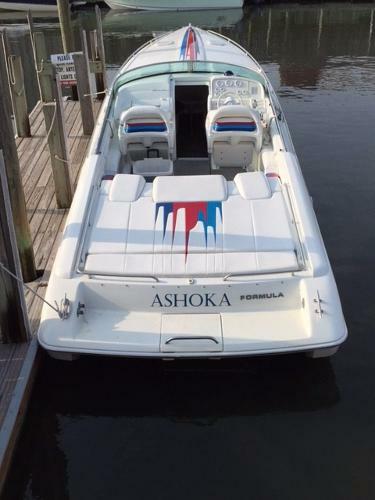 2001 Formula 353 FASTech This FORMULA 353 FasTech is immaculate and ready for fun ... if you are ready for a Formula. Pulling up in a Formula demands distinction and admiration from other boaters, as they know you can afford the best in boats. This boat has been taken care of with tedious attention and care from its first and second owners. The boat is washed every time it leave the water, NEVER BEEN IN SALT WATER - yet designed for use in salt water as an Off-Shore Racer. She is powered by twin 496 HO Mercury engines. 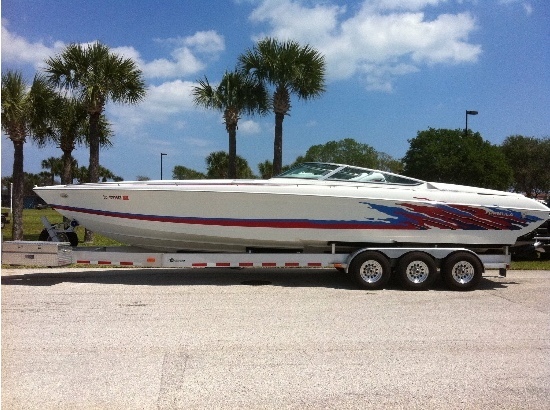 If your looking for a boat that turns heads and has low hours (233). and has been maintained in excellent condition, this is the boat for you. 1999 Formula 353 FASTech This 1999 Formula 353 is powered by a pair of 500 EFI Mercs that only have 66 hours since the motors were re-done and run smooth and strong. The motors were long blocked, new fuel injectors, tailpipes replaced, fuel pumps replaced, and both engine couplers were replaced. The total hours on the boat are 395. I would say that over all she is in very good shape for her year. The seat vinyl is in good condition but does show some sun fade. The hull gel coat is also in good condition but has a few scratches and a ding in the rub rail and she does need some wax, but we will be doing a detail very soon. The drives shift smooth and crisp and trim like they should. Also the Myco trailer is included. 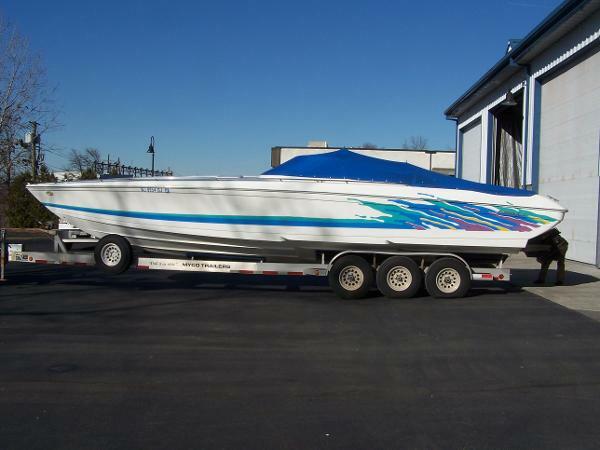 2001 Formula FASTECH 353 This FORMULA 353 FasTech is immaculate and ready for fun ... if you are ready for a Formula. 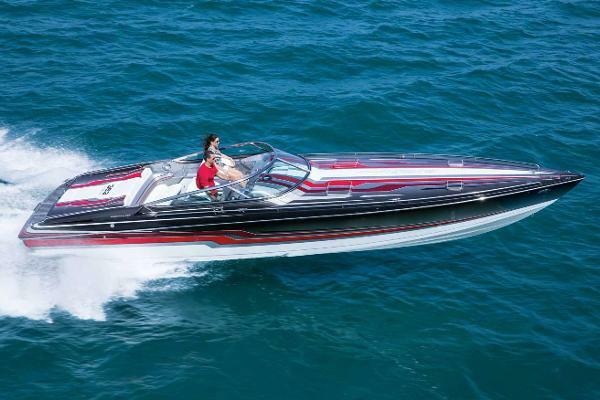 Pulling up in a Formula demands distinction and admiration from other boaters, as they know you can afford the best in boats. This boat has been taken care of with tedious attention and care from its first and second owners. The boat is washed every time it leave the water, NEVER BEEN IN SALT WATER - yet designed for use in salt water as an Off-Shore Racer. She is powered by twin 496 HO Mercury engines. 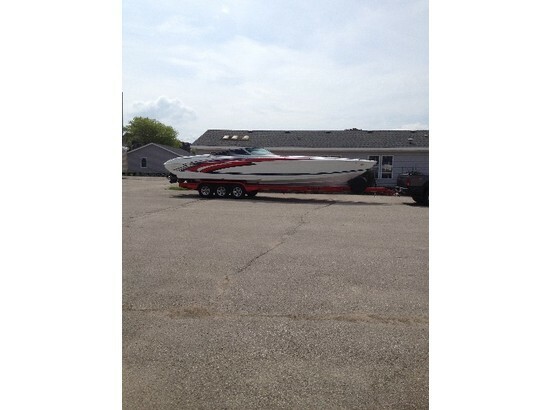 If your looking for a boat that turns heads and has low hours (233). and has been maintained in excellent condition, this is the boat for you. 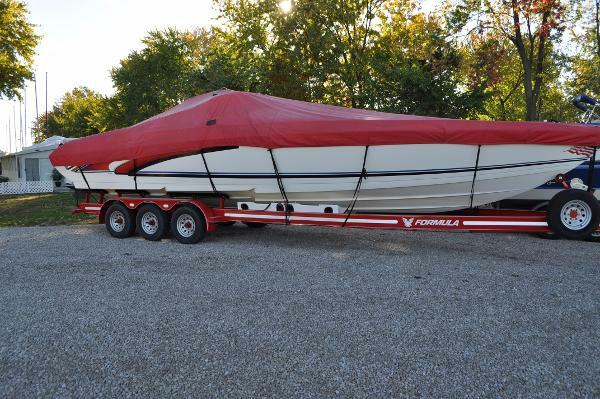 1999 Formula 353 FASTech CUSTOM TRI-AXLE 2010 LOADMASTER TRAILER K-Plane Trim Tabs - Silent Choice Exhaust This boat is on site, please call to set showing appointment. Sales office is open Monday through Saturday 9AM-5PM. Closed on Sundays.